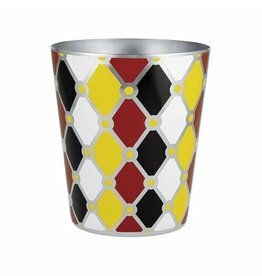 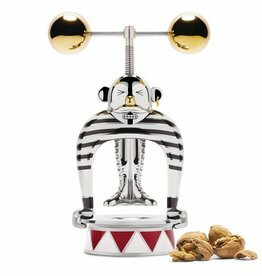 Using bold, geometric patterns of circles, stripes, conic shapes, and colours such as white, black, yellow, red and gold, each piece reminds of historical symbols from the circus universe resonating an experience of wonder and amusement. 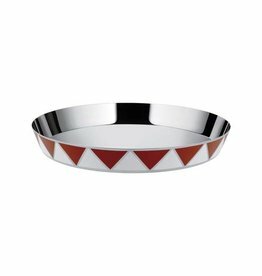 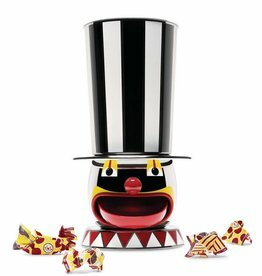 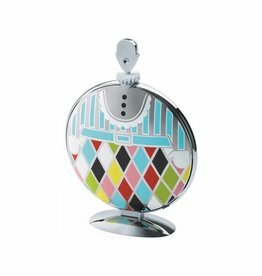 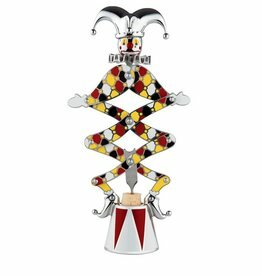 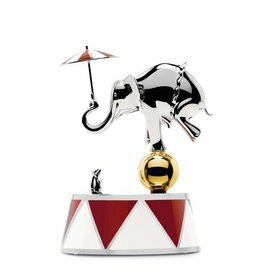 The “Alessi Circus” collection features a colourful range of tableware items: Placemate, Bowls, Round Trays, Ice Bucket, Bottle stands, Wine cooler, Salad bowls, Mugs, Small bowls, Containers. 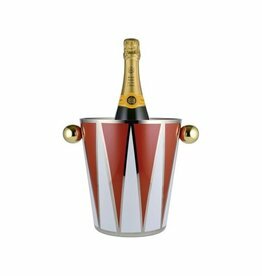 Exploding with color as he jumps up and down opening bottles.